Lisa Edelstein is learning that there’s a time and a place for everything — and Alan Thicke’s death was probably not the time or place to take potshots at Donald Trump. The “Girlfriends’ Guide to Divorce” star is being savaged on social media after taking Tuesday’s death of “Growing Pains” star Alan Thicke as an opportunity to slam the president-elect. The joke didn’t go over well with many on Twitter, who rushed to criticize the actress. “@LisaEdelstein So hurry up already,” one critic suggested. 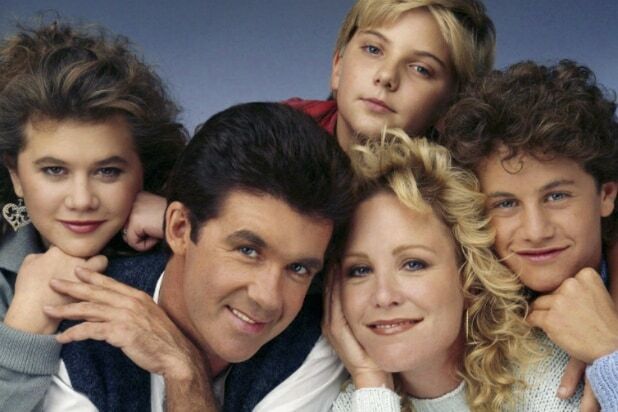 RIP Alan Thicke. Seems like everyone is checking out before the Trumpacolypse. “@LisaEdelstein wow very classy. You should be ashamed of yourself,” another wrote. “@LisaEdelstein the man died in front of his 17yr old son a week before Christmas, but lol Trump right?” yet another hissed. “Tone deaf, self absorbed, myopic, dense celebrities who live in echo chambers -such as yourself- are part of why Trump won,” another said. The actor suffered a heart attack while playing hockey with his 19-year-old son, Carter, and was transported to a hospital in Burbank, California, Tuesday afternoon, TMZ reported.